Very Good. 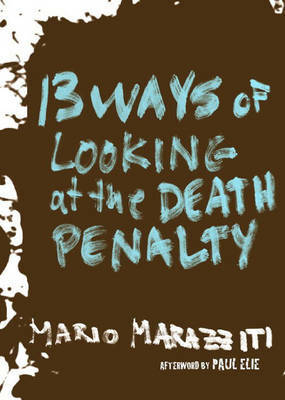 13 Ways of Looking at the Death Penalty by Paul Elie, 2015-03-24. Sewn binding. Cloth over boards. 240 p.
Very Good. 1609805674 Very Good Condition-May show some limited signs of wear and may have a black line or red dot on edge of pages. Pages and dust cover are intact and not marred by notes or highlighting. Tracking is not available for orders shipped outside of the United States. Fine. 1609805674 LIKE NEW! ! ! Has a small black line on edge of pages. Tracking is not available for orders shipped outside of the United States.